St Stephen’s Junior School have a fun and unique way of encouraging their reluctant readers to make a start and enjoy reading. Mrs Chidgey kindly sent me this letter and a photo explaining what they have achieved using Kindles to get some of their students to pick up a book and actually enjoy reading it! I would like to thank Mrs Chidgey for taking the time to inform me of their club and the positive benefits that it has produced. I think that this is a fantastic incentive that can easily be recreated in schools all over the country to get children who don’t like reading (as I was myself!) to make a start and enjoy that feeling of losing yourself in a great book! Thank you St Stephen’s, for this great idea! We started our Kindle Reading Club here at St Stephen’s Junior School at the end of the Autumn Term 2015 under the direction of Mr Jarvis, Head of Year 5 and myself Mrs Chidgey, Reading Co-ordinator. The school purchased kindles to trial this programme and five boys were selected from Year 5 to be part of the group. These boys were reluctant readers initially, but the results have been astonishing. They are now very enthusiastic and committed to their Kindle Club, which is encouraging as we are only in early stages of the programme. Each week I send home a reading guide for the boys and their parents, detailing what they are expected to read before we meet at the end of each week. The group then discuss what they have read and answer comprehension questions that I have prepared. 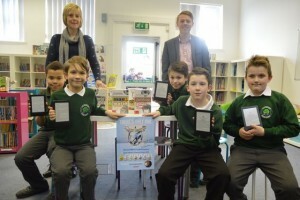 The boys have shown responsibility, commitment and enthusiasm for reading which is by far their greatest achievement. 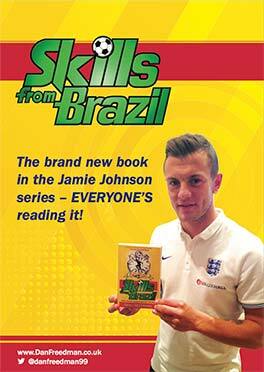 We look forward to continuing with our club and reading more of the Jamie Johnson series!